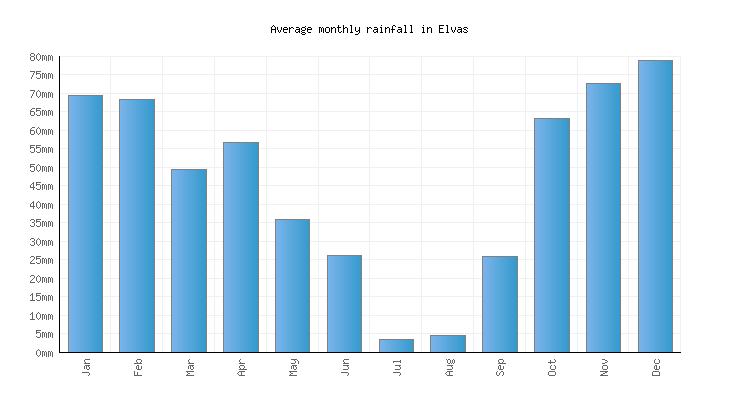 Elvas Climate and When to Go? The historic town on Elvas, close to the Spanish border, is not particularly bothered by tourists - it certainly does not get overrun at any time of year. A visit in early springtime, when the usually arid plains are still green and blooming with spring flowers is probably the best time to explore the unique star-shaped fortifications and excellent eateries on offer here. July and August can experience intense heat, but in springtime and early autumn, pleasant, sunny weather and low rainfall. Overall the climate is best described as Mediterranean- closer to that of Spain than the rest of Portugal. The months of March and April, although likely to see occasional showers, are likely to offer plenty of warm, sunny days, and can be the best time to admire the surrounding countryside, before the hot summer sun kills off the greenery and wild flowers. Summers here can be searingly hot, with temperatures above 30ᵒC (86ᵒF), or even above 40ᵒC (104ᵒF) not at all uncommon in July and August. Rainfall during the summer months is rare - this is, after all, the driest part of Portugal. Although visitors during the school summer holidays are unlikely to experience crowds of other tourists apart from Spanish day-trippers, many north Europeans find that the months of July and August can simply be too hot to do much more than sit by the pool or in a shady café, and sleeping at night, without air conditioning, can be uncomfortable for those not used to Mediterranean night-time temperatures. In September, average daytime temperatures usually hover around a very pleasant 25ᵒC (77ᵒF) and rainfall is still pretty unusual here. October and even November days have a fairly good chance of temperatures in the low 20s ᵒC (low 70s ᵒF). By mid-November, temperatures usually start to fall, and there is more chance of rainfall. 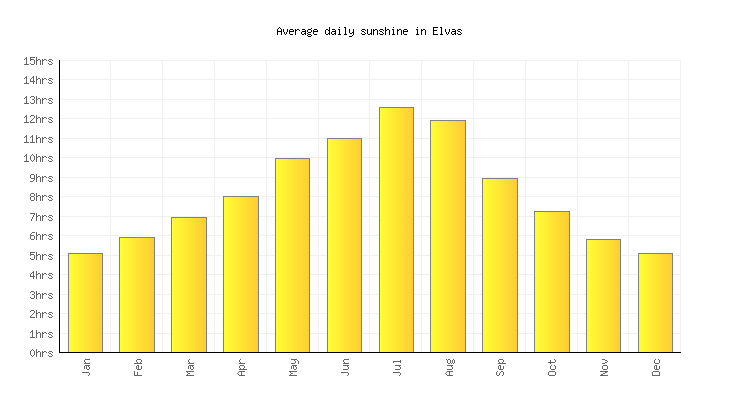 Winters in Elvas are relatively mild, usually hovering somewhere between 10 and 15ᵒC (high 50s ᵒF). It is rare for the thermometer to fall much below 5ᵒC (41ᵒF). The months from December through to February see the most rainfall, but the distance from the Atlantic ensures that this is the driest part of Portugal.